Dr. Shen Qilan, receiving her Ph.D. from University of Münster, Germany, is a famous writer, art critic, curator and TEDx speaker. She is the founder of “UnderstandAqiran”, an art WeChat official account platform, producing “UnderstandA Art Film” series and collaborating with international institutions on exhibition and cultural projects. Currently she is editorial board member of Book Town magazine. She was the editorial director of Art World magazine 2010-2011, where she was an overseas journalist 2008-2010, she is a keen observer of global contemporary art and has extensive knowledge of the art scene. She curated different forums and lectures in museums. As project director for large-scale Art World Expo special project “Page the World – 2010 International Art Media Sharing Platform”, she managed cooperation with international art media from Germany, Switzerland and ARTE TV. 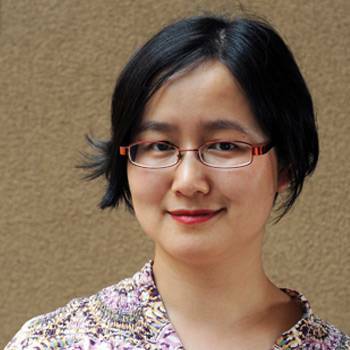 Invited and commissioned by CONSTELLATIONS International, Shanghai, She is chief adviser and co-author of Europe-China Cultural Compass –Orientation for Cultural Cooperation between China and Europe. She was expert lecturer for “Hu Tan”, a German-Chinese Exchange Program for cultural managers hosted by Goethe-Institut and Stiftung Mercator. She has contributed to the art columns on many renown magazines, including Art World, Bazaar Art Magazine, Her book Life at My Own Pace was a best-seller. She is guest speaker of TV program “Tonight We Read a Book” and ” Tonight We understand a painting”.